Our health team works to bring you and your family a holistic healing approach. We believe every patient deserves wellness care that targets the true source of their symptoms. Most conditions and injuries cause inflammation or tension as well as pain, so we offer custom treatment plans and therapeutic techniques that relieve pain while promoting healing and restoring balance to the whole body. Our massage therapy and chiropractic teams work together to create personalized treatment plans for each and every patient. If your treatment plan includes massage therapy, you’ll enjoy the benefits of a therapeutic approach that is designed to heal and relieve. Chiropractic care is a holistic health approach that works best when it’s integrated into a healthier overall routine. 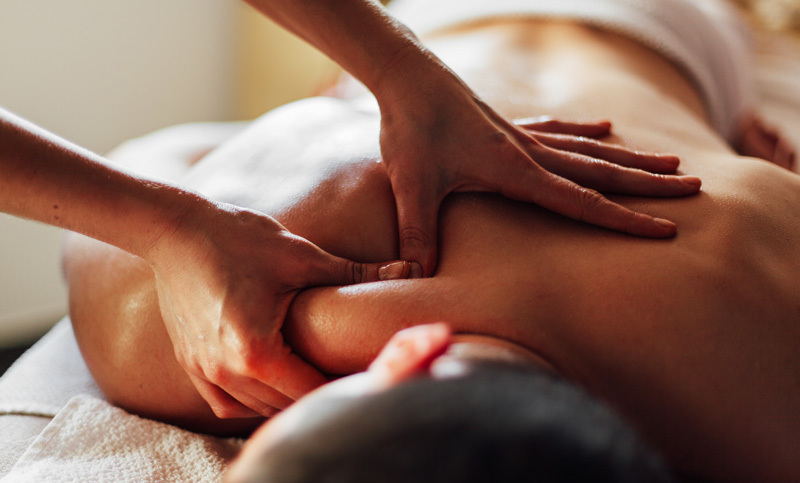 If you are seeking chiropractic care for an injury or condition that includes inflammation, scar tissue, muscle tension, or weakness, we may add massage therapy to your treatment plan too. Massage therapy allows us to reduce inflammation and restriction in the soft tissue while promoting blood flow and energy balance. When your muscles are tense or inflamed, they cannot regenerate quickly enough to restore mobility and prevent pain. If you are in chronic pain, you may need massage therapy to loosen your muscles and ligaments while restoring blood flow to the body parts that need to heal the most. We use massage therapy to rebalance the body and encourage its own healing processes. We offer deep tissue, sports, relaxation, reflexology, prenatal, swedish, cranial sacral, ashiatsu, and thai. The goal of every massage therapy visit is to provide you with the relief that you need. At the beginning of every appointment, we will listen to your symptoms and concerns and provide you with an individualized massage that will address your problems specifically. All of our massage therapy treatments are tailored to each patient’s individual treatment needs. Advanced scheduling for massages is recommended due to high demand and limited availability.